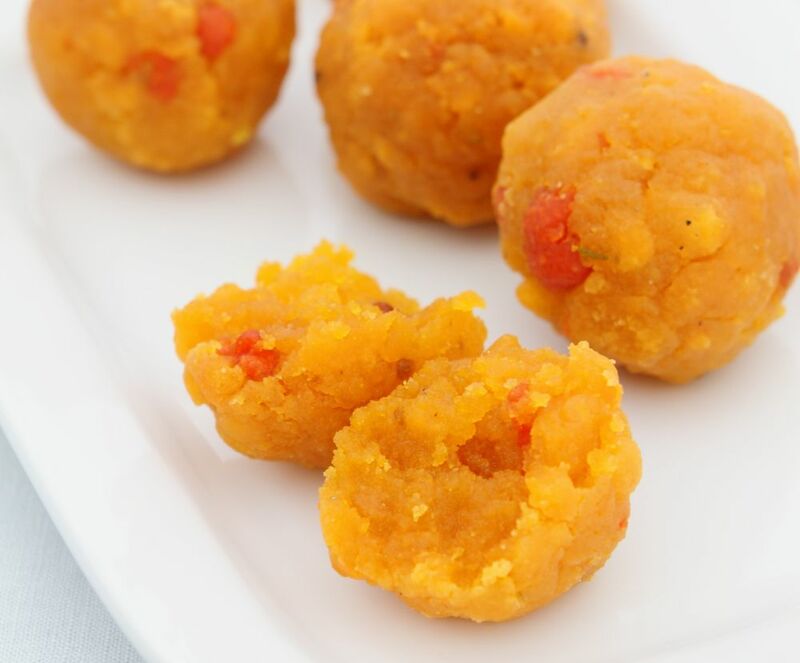 Laddu is a traditional Indian sweet made of flour, sugar with other ingredients that vary from recipe to recipe. This recipe is courtesy of Venusitas and was first published in Flavours magazine. Mix the flour with 400ml water, then sieve the mixture through a boondi sieve (perforated metal ladle used to make savoury Indian treats) to remove lumps. In a pot, boil the sugar with the remaining water till the sugar dissolves to form a thick syrup, then add to flour mixture and mix well. In a separate pan, heat up the oil, then pour into mixture and combine well. Using your hands, shape the mixture into lime-sized balls. the instructions don’t seem to be correct at all. please re look into it.